In an undisclosed location under cover of driving rain, what wasn’t supposed to happen, happened. The Redskins held a practice. It wasn’t an official team activity, but 26 dedicated team members decided that, lockout be damned, there was going to be football. 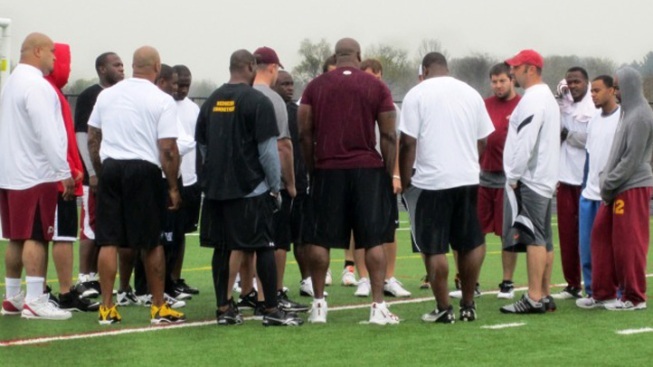 Organized by London Fletcher, the unofficial mini-camp was a series of drills and simple routes designed to get the players back into a football state of mind. 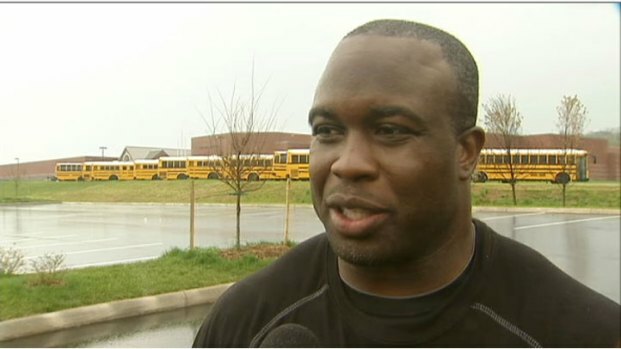 London Fletcher was the mastermind behind the Redskins' own practice. He talks about why he did it. Since the Redskins organization was not involved, Fletcher had to handle all aspects of the practice himself, including equipment. As he unloaded bags of footballs he bought with his own cash, it became clear how dedicated he was to making this happen. There was even different colored T-shirts for the offense and defense. For some, it was a short trip to play with friends. For others, it was a flight across country just for the occasion. 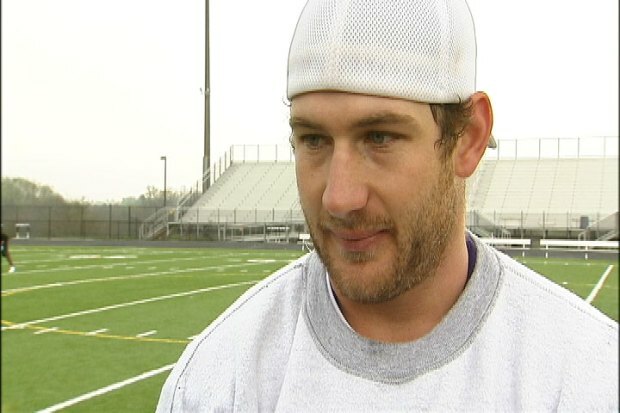 Chris Cooley talks about what it was like to practice -- without coaches, of course. Second-year wide receiver Terrence Austin paid for a flight out of pocket from California in order to be with his teammates. Of highest importance to organizer Fletcher was keeping the get together injury-free. 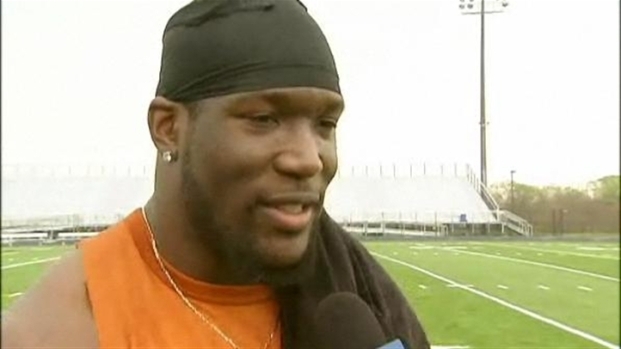 Redskins linebacker Brian Orakpo discusses the Redskins' player practice and the possibility of injuries. "I think the thing that we stress and emphasize to the guys is that we're not going out here 100 miles an hour trying to compete at the highest level," he explained. "It's really just about doing football, getting guys out, doing football related type stuff, but being smart and understanding protect your teammates." While the main focus was practice, it was also good to have some fun during a time of uncertainty in the NFL. "I think it's a big deal to get everyone together," said Cooley. "So much time goes by when you don't see everyone and you don't hear plays called and you don't have football in your life. I think everyone enjoyed it, and I'm real excited to be here." Never mind the relentless rain. Forget the numbing chill. There was football happening -- and it was glorious.